For over 25 years, the AWHL (Assaulted Women’s Helpline) has strived to provide completely free 24/7 support to women who have been assaulted. This is available in up to 154 languages, and is completely anonymous and confidential. 49,000 women call the helpline every year in the Greater Toronto Area. So the goal of this annual gala is to raise funds for the helpline and awareness. 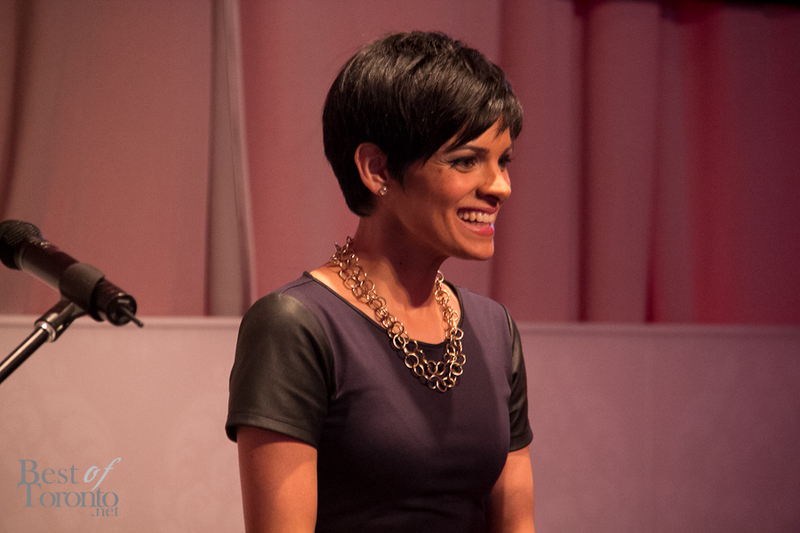 At this year’s 10th annual gala, CBC News anchor Anne-Marie Mediwake was the host. The evening started with a cocktail reception and viewing of the silent auction items. Then there was a 3 course dinner, live auction and entertainment provided by “The Intentions”. All proceeds of the AWHL gala go directly back to the Assaulted Women’s Helpline. Check out the great video from Kardinal Offishall and Shawn Hook “A Way Out” made for the Assaulted Women’s Helpline.